The Ministry of Housing and Urban Development (MHUD) is responsible for the formulation and execution of Government’s policy in the Housing and Urban Development sector. The Ministry operates as facilitator in the implementation of those policies through its various units and affiliated agencies. The Honourable Major General Edmund Dillon, MP was appointed Minister of Housing and Urban Development on August 06, 2018. As Minister of Housing and Urban Development, he oversees the Government’s home and village improvement, subsidised housing, land settlement, regularisation of tenure of squatters and urban development policies and programmes. In this portfolio, the Hon. 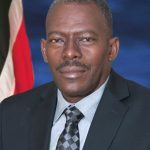 Major General Edmund Dillon also has responsibility for statutory boards, agencies and other bodies which fall under this Ministry such as the Trinidad and Tobago Housing Development Corporation, Land Settlement Agency, East Port of Spain Development Company, New City Mall, East Side Plaza, Sugar Industry Labour Welfare Committee, Urban Development Corporation of Trinidad and Tobago (UDECOTT) and the Trinidad and Tobago Mortgage Finance Company Limited. 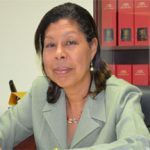 Mrs. Simone Thorne-Mora Quinones, assumed duty as Permanent Secretary at the Ministry of Housing and Urban Development on January 15, 2016. Prior to this appointment, she served as Deputy Permanent Secretary (Defence and Protective) at the Ministry of National Security from October 2015 to January 14, 2016 and Deputy Permanent Secretary (Infrastructure) at the Ministry of Education from April 2014 – October 2015.